Salem Regional Medical Center provides many of the latest advances in medical imaging technology. Accreditation from the American College of Radiology (ACR) assures that our services are nationally-recognized for high-quality and safety. Call SRMC's Appointment Desk at 330-332-7300. All Medical Imaging services are provided at the Main Campus. Gold Standard in Imaging: When you see the ACR seal, you can rest assured that your exam will be performed at a facility that has met the highest standards of imaging quality and safety. SRMC has been chosen by the Siemens Corporation as a national showcase site to host its fastest and highest quality 3D PET/CT scanner in the nation. The first 3T OPEN MRI between Cleveland and Pittsburgh is available at Salem Regional Medical Center. 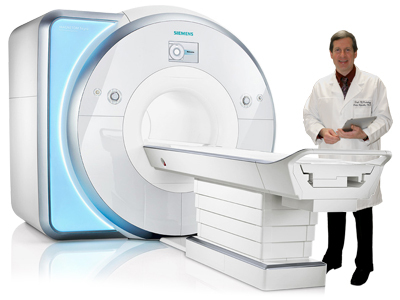 Magnetic Resonance Imaging (MRI) uses a powerful magnetic field, radio waves and a computer to produce highly-detailed images of the brain, organs, bones and soft tissues in the body, without the use of radiation. 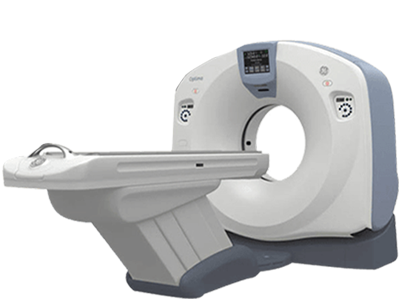 Our 3T OPEN MRI has twice the magnetic strength of older 1.5T MRI scanners, allowing for twice the detail. This permits more accurate, early diagnosis of diseases when they are most curable. This advanced technology offers area residents the opportunity to receive state-of-the-art diagnostic testing with the fastest, most detailed magnetic resonance imaging of the body, brain, spine, extremities and breasts. Largest 3T OPEN MRI with 86" opening for claustrophobics and patients up to 550 lbs. Faster exams. At more than twice the speed of traditional CT scanners, our scanner can image a beating heart in one-quarter of a second, fast enough to diagnose a heart attack before it happens. A large scanner opening to accommodate patients who are claustrophobic or individuals weighing up to 500 lbs. 3-D Virtual CT Colonoscopy, an alternative to traditional colonoscopy. Click the tab link above to learn more about Virtual Colonoscopy at SRMC. 3-D Cardiac CT Heart Imaging to identify cholesterol plaque and narrowing of the vessels, which are indicators of coronary artery disease. This non-invasive exam also benefits patients by reducing the need for more invasive studies, such as cardiac catheterization, to evaluate heart attack risk. 3-D Urogram, a fast and painless CT imaging of the kidneys and bladder. This procedure can visualize tumors and small cancers, determine kidney stone composition and identify most causes of blood in the urine. 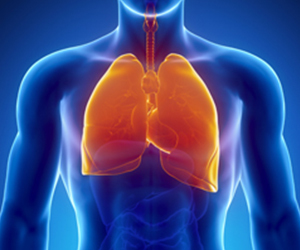 3-D Lung Cancer Screening for high-risk patients. 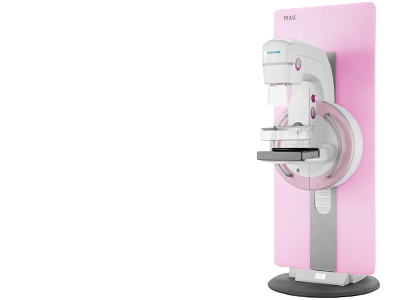 Salem Regional Medical Center now offers the newest generation of 3-D mammography available between Pittsburgh and Cleveland for improving breast cancer detection at its earliest stage. 3-D mammography complements standard 2-D digital mammography, and can find up to 40% more invasive cancers than a traditional mammogram alone. Greater image detail to detect cancer in its earliest stages, especially in women with dense breasts and fibrocystic breast disease, where tumors are more difficult to find. 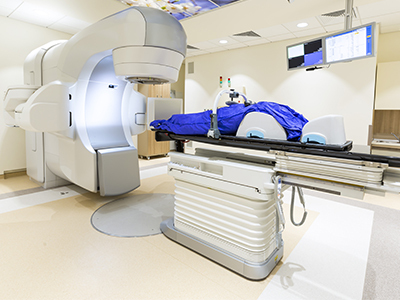 Enables radiologists to distinguish harmless structures from tumors, resulting in fewer false positive results and fewer "call backs," which occur when a mammogram identifies something suspicious and additional imaging or a biopsy is recommended. Less discomfort due to less breast compression. Uses 30% less radiation than traditional mammograms. 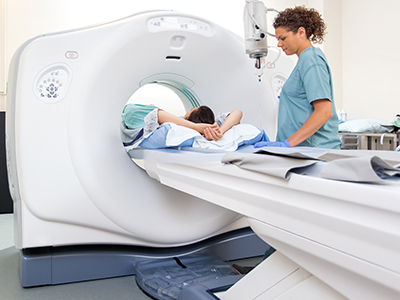 Salem Regional Medical Center now offers the next generation 3D PET/CT scanner with the fastest and highest image quality available anywhere in the nation. SRMC is the first hospital to offer this technology within an 8-state region of the country. 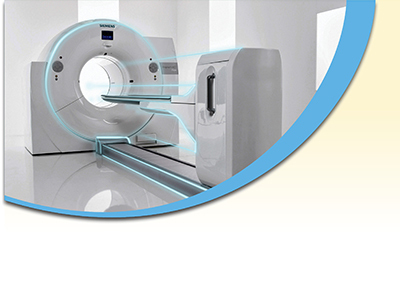 3D PET/CT is a state-of-the-art technique that combines Positron Emission Tomography (PET) with Computed Tomography (CT) to create detailed 3D images that can help identify very small cancers and their spread anywhere in the body. Our new 3D PET/CT scanner performs the fastest 3D PET/CT imaging at the highest quality and detail in half the time and using half the dose of radiation. Call SRMC's Appointment Desk at 330-332-7300 (a physician’s order is required). 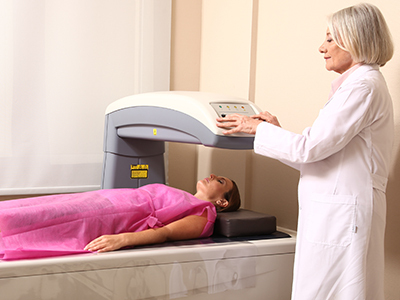 DEXA stands for Dual Energy X-ray Absorptiometry. It is the most commonly used test for measuring bone mineral density and one of the most accurate ways to diagnose osteoporosis, which is responsible for 1.5 million fractures in the U.S. each year. DEXA scanning has proven to be the most accurate method of measuring bone density and uses the least amount of radiation. Ultrasound Imaging uses sound waves to produce images of the body's organs, tissues and vessels without using radiation. Because the images are captured in real-time, they can show the structure and movement of the body's internal organs, as well as blood flowing through blood vessels. 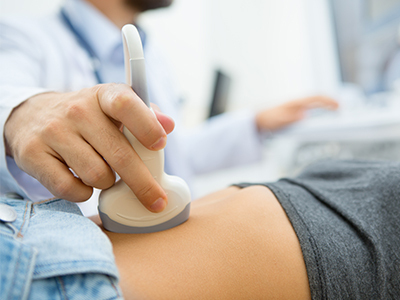 Ultrasound testing can help physicians diagnose diseases or abnormalities by imaging the heart and blood vessels, organs in the abdomen and pelvis, the breast, thyroid or a pregnant woman's unborn child. It is also used to guide minimally-invasive procedures or biopsies. An x-ray is a fast and painless exam that uses a small amount of radiation to visualize the body's internal structures. 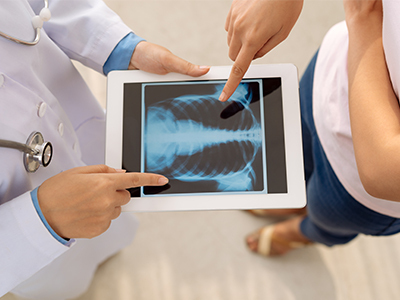 While x-rays are most often used to image the bones for fractures and other abnormalities, they are also effective in detecting pneumonia in the lungs or foreign objects in the body. Salem Regional Medical Center is the only hospital in the Mahoning Valley to offer 3-D Virtual CT Colonoscopy for colon cancer diagnosis and screening. This state-of-the-art procedure is an alternative to a traditional colonoscopy, which many people prefer to avoid because of the discomfort of the rigorous colon preparation, the need for anesthesia or their inability to take time off from work. Lung cancer is the most common cause of cancer death in the U.S., and occurs particularly in men and women with long-term smoking histories. Recent studies have shown that the screening of current and former heavy smokers reduced their risk of dying from lung cancer by 20%. 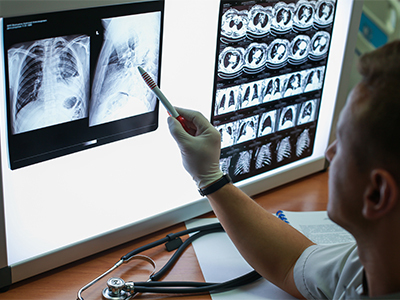 A low-cost, low-dose CT lung cancer screening program is offered at Salem Regional Medical Center to detect lung cancer before it has spread. The lung cancer screening is modeled after mammography, which has been highly successful in detecting breast cancer. 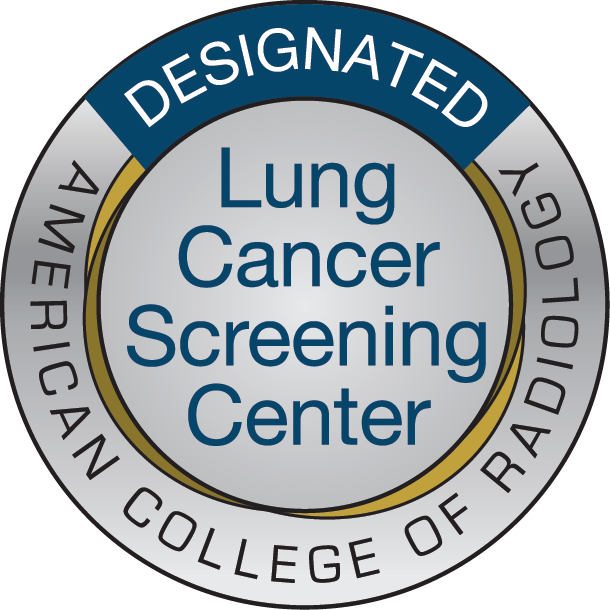 Note: All patients will need to obtain a referral for the low-dose CT lung screening from their health care provider. 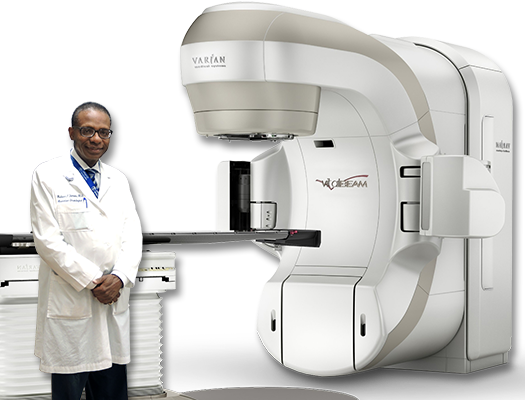 "Our new Varian VitalbeamTM technology provides state-of-the-art radiation therapy to treat many different types of cancers."